We are using cookies to help us to provide you with a good experience when you browse our website and also allows us to improve our site. Whether you're a road cyclist looking for a carbon road bike, mountain biker or like the best of both worlds with cyclocross; our choice of complete bikes is perfect for finding your next ride.These bikes come complete with all cycling components so you don't need to find a groupset or source some handlebars or wheels for them, you can just head out and ride! Road, Mountain or Cross Bike? Your choice of bike depends on the kind of riding you will be doing. 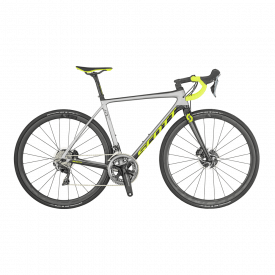 If you're a road cycling that races a lot you need something light and fast, like one of our carbon fibre bikes, to give you the best chance of victory in your racing. If you are a leisure rider then comfort will be top of your list of priorities, as this will allow you to ride for long periods in the saddle without the potential discomfort an out-and-out racer may cause you as a casual rider. Mountain bikers might find they need a smaller groupset depending on the severity of the terrain they are tackling or they may need thicker tyres to compensate for bad conditions. 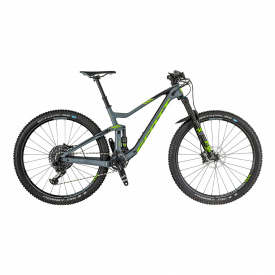 There's also suspension to consider, and whether you want a bike that has full suspension or a hardtail. Again this depends on the kind of riding you do and the terrain you tackle on the bike. 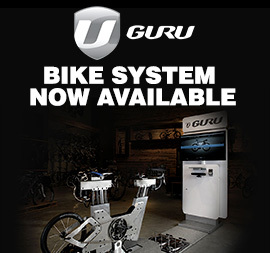 Once you have chosen your bike take a look at our Guru Bike Fit to set you up perfectly on the bike for maximum comfort and performance.